The overall purpose of this preparatory course textbook is to help students familiarize with some terms and some basic concepts they will find later in the Human Anatomy and Physiology I course.The organization and functioning of the human organism generally is discussed in terms of different levels of increasing complexity, from the smallest building blocks to the entire body. This Anatomy and Physiology preparatory course covers the foundations on the chemical level, and a basic introduction to cellular level, organ level, and organ system levels. There is also an introduction to homeostasis at the beginning. This text was designed for use in the human osteology laboratory classroom. Bones are described to aid in identification of skeletonized remains in either an archaeological or forensic anthropology setting. Basic techniques for siding, aging, sexing, and stature estimation are described. Both images of bone and drawings are included which may be used for study purposes outside of the classroom. 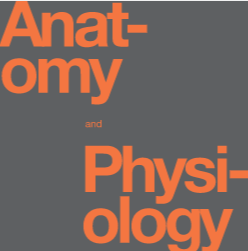 The text represents work that has been developed over more than 30 years by its various authors and is meant to present students with the basic analytical tools for the study of human osteology.